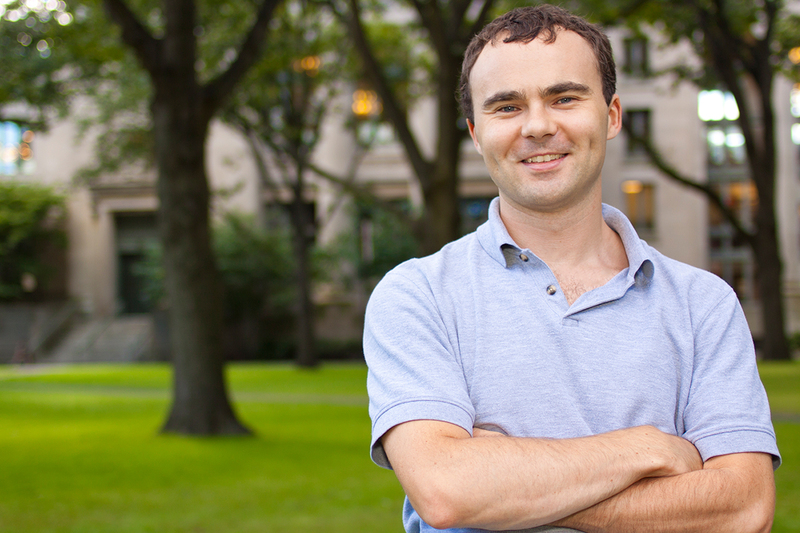 (BOSTON and CAMBRIDGE) — Conor J. Walsh, Assistant Professor of Mechanical and Biomedical Engineering at Harvard School of Engineering and Applied Sciences (SEAS) and a Core Faculty member at Wyss Institute for Biologically Inspired Engineering at Harvard University, has been selected to receive a Faculty Early Career Development (CAREER) Award from the National Science Foundation (NSF). One of the most prestigious honors recognizing early-career scientists and engineers, the award will support Walsh’s research in the burgeoning field of soft wearable robotics. The award is from NSF’s General and Age Related Disabilities Engineering (GARDE) program, which advances fundamental engineering research that will lead to the development of new technologies for persons with disabilities. Walsh’s work focuses on applying soft robotic systems to help individuals overcome disabilities, and to augment the performance of able-bodied people. “The $500,000 CAREER Award will enable Walsh and his team to pursue work on a lightweight, soft robotic glove that could become an alternative to a therapist manipulating a patient’s fingers and thumb to rehabilitate impaired hand function, or provide a patient with assistance in performing activities of daily living. Walsh’s team will collaborate with clinical partners to test prototypes of the system on a variety of patients, such as those who have suffered a stroke or have muscular dystrophy. Walsh’s research lab at Harvard SEAS and the Wyss Institute leverages the Institute’s translational model for de_risking high_value technology by bringing together researchers from engineering, industrial design, apparel, clinical, and business communities to develop disruptive technologies that augment and restore human performance. 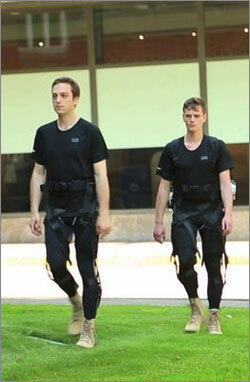 His team is also developing a soft exosuit that can assist an individual with locomotion as part of the DARPA Warrior Web project. His group is also working on the modeling and design of fluidic-based soft robotics for cardiac applications and applying meso-scale manufacturing approaches to the design of smart medical tools for the minimally invasive diagnosis and treatment of disease. A core aspect of Walsh’s research is a commitment to open-source dissemination of results. Last year, he and collaborators launched the Soft Robotics Toolkit, an online collection to assist users in the design, fabrication, modeling, characterization, and control of soft robotic devices. As part of his CAREER Award, Walsh will continue to add to instructional kits. Through the Harvard Medical Device Innovation Initiative, which includes Medical Device Design, a course that Walsh started at SEAS, he provides student-innovators with the opportunity to solve critical medical problems. As part of his CAREER Award, Walsh will introduce cutting-edge soft robotics research topics into his class. He received his undergraduate degree in Mechanical and Manufacturing Engineering from Trinity College in Dublin (2003), and a Master’s (2006) and Ph.D. (2010) in mechanical engineering from the Massachusetts Institute of Technology. He joined the SEAS faculty and became a Wyss Core Faculty member in 2012. The Faculty Early Career Development (CAREER) Program is a Foundation-wide activity that offers the NSF’s most prestigious awards in support of the early career-development activities of those teacher-scholars who most effectively integrate research and education within the context of the mission of their organization. Such activities should build a firm foundation for a lifetime of integrated contributions to research and education. The Wyss Institute for Biologically Inspired Engineering at Harvard University (http://wyss.harvard.edu) uses Nature’s design principles to develop bioinspired materials and devices that will transform medicine and create a more sustainable world. Working as an alliance among all of Harvard’s Schools, and in partnership with Beth Israel Deaconess Medical Center, Brigham and Women’s Hospital, Boston Children’s Hospital, Dana-Farber Cancer Institute, Massachusetts General Hospital, the University of Massachusetts Medical School, Spaulding Rehabilitation Hospital, Boston University, Tufts University, and Charité – Universitätsmedizin Berlin, University of Zurich and Massachusetts Institute of Technology, the Institute crosses disciplinary and institutional barriers to engage in high-risk research that leads to transformative technological breakthroughs. By emulating Nature’s principles for self-organizing and self-regulating, Wyss researchers are developing innovative new engineering solutions for healthcare, energy, architecture, robotics, and manufacturing. These technologies are translated into commercial products and therapies through collaborations with clinical investigators, corporate alliances, and new start-ups.